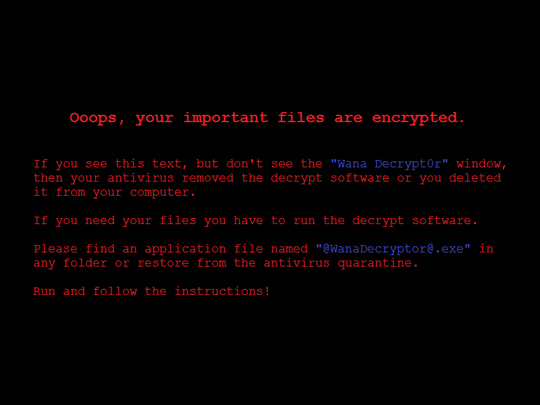 This ransomware exploits the MS17-010 vulnerability to spread to other vulnerable computers. It drops files as ransom note. Windows Task Manager may not display all running processes. In this case, please use a third-party process viewer, preferably Process Explorer, to terminate the malware/grayware/spyware file. You may download the said tool here. Open Windows Task Manager. To do this, press CTRL+SHIFT+ESC. • For Windows 2000, XP, Server 2003, Vista, 7 and Server 2008 users, click the Processes tab. • For Windows 8, 8.1 and Server 2012 users, click the Details tab. 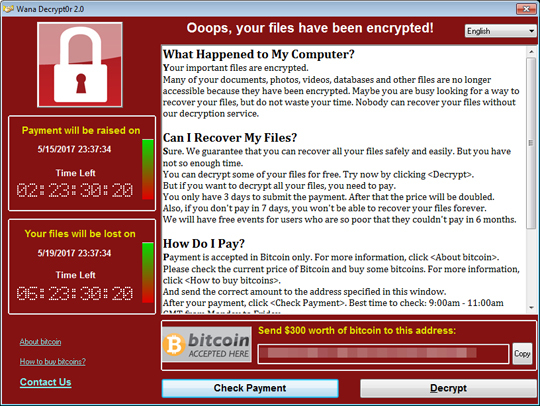 Restart in normal mode and scan your computer with your Trend Micro product for files detected as RANSOM_WANA.A. If the detected files have already been cleaned, deleted, or quarantined by your Trend Micro product, no further step is required. You may opt to simply delete the quarantined files. Please check this Knowledge Base page for more information. Scan your computer with your Trend Micro product to delete files detected as RANSOM_WANA.A. If the detected files have already been cleaned, deleted, or quarantined by your Trend Micro product, no further step is required. You may opt to simply delete the quarantined files. Please check this Knowledge Base page for more information.